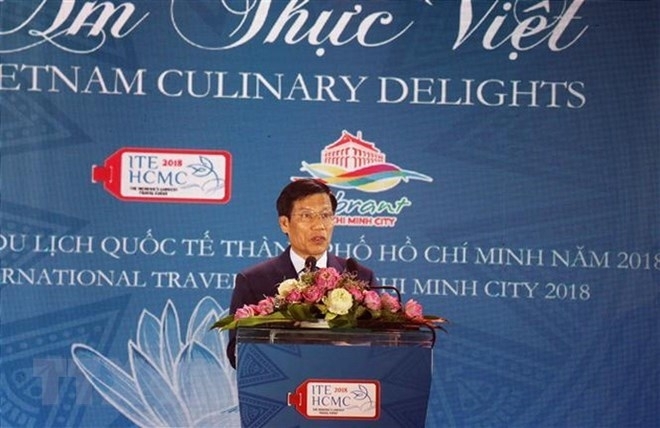 The 14th International Travel Expo-Ho Chi Minh City (ITE HCMC), the largest of its kind in the Mekong sub-region, kicked off in Vietnam’s largest economic hub on September 5 evening with the “Vietnamese Culinary Delights” Gala Dinner. Attending the event were leaders of the tourism sector of Cambodia and Laos, representatives from authorities of several Lao, Cambodian and Japanese localities, and domestic and foreign travel agencies. In his opening remarks, Minister of Culture, Sports and Tourism Nguyen Ngoc Thien said that with the theme of “Your Gateway to Tourism in Asia”, the expo aims to connect Ho Chi Minh City in particular and Vietnam in general with tourist attractions, cities and nations in the region. It also serves as a venue for domestic and international tourism management agencies and units operating in the industry to meet, share experience and seek cooperation opportunities. Sharing positive results of the Vietnamese tourism sector, Thien said that Vietnam welcomed over 10 million foreign tourist arrivals in the first eight months of 2018, up 22.8 percent year-on-year. 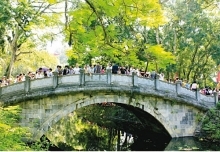 On September 3 in China’s Hong Kong, Vietnam was named as Asia's Leading Destination, he noted. 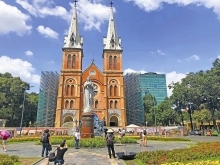 Therefore, to meet new tourism requirements, Vietnam wants to continue intensifying linkages between Ho Chi Minh City and cities and nations in the region to form attractive tours. Chairman of the municipal People’s Committee Nguyen Thanh Phong stated that after 320 years of formation and development, Ho Chi Minh City always improves itself to attract more visitors and become one of the most attractive destinations in Asia in 2018. The ITE-HCMC has become an attractive venue for enterprises operating in the tourism industry in Mekong Sub-region nations. This year’s main expo, which is taking place from September 6-8, attracts participants from 38 countries and territories. As many as 375 sellers representing airlines, hotels, resorts, and travel companies from Brunei, Cambodia, Germany, India, Indonesia, Japan, the Republic of Korea, Laos, Malaysia, the Netherlands, and Russia are participating in the event. 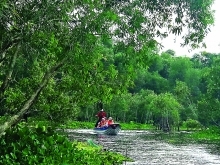 The Lao Ministry of Information, Culture and Tourism and the Cambodian Ministry of Tourism are scheduled to hold tourism programs in the evenings, demonstrating friendship and cooperation between Southeast Asian countries. A number of workshops will also be held during the expo focusing on smart tourism and technological application in tourism.